Scraps of Darkness and Scraps of Elegance: Mixed Media with Michelle! Well, today is a great one for me, because I'm sharing not one, but TWO gorgeous projects from Michelle! The first is this AMAZING work of Steampunk art! 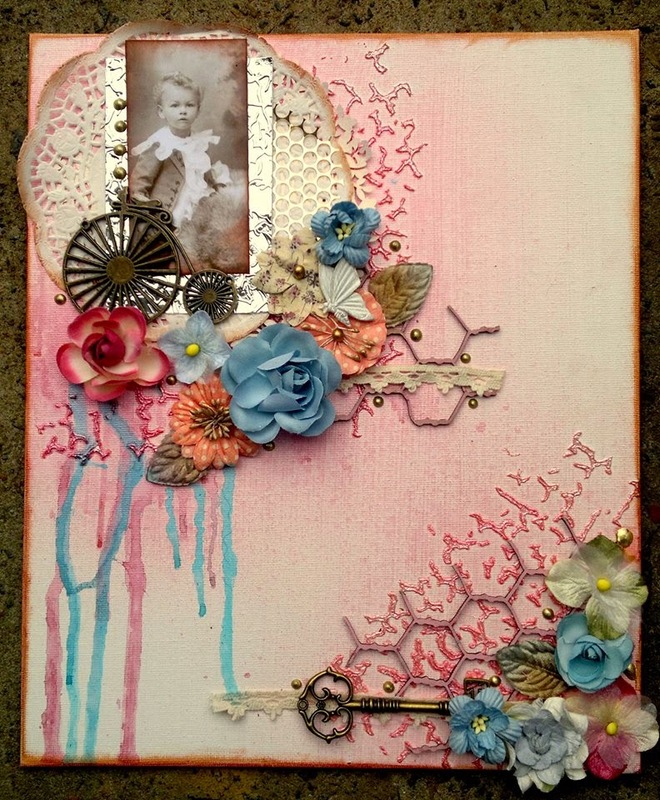 Michelle used the Creativity Add On from our Weathered and Worn Kit to create this. Just look at all the technique work and details on this gorgeous altered pallet! 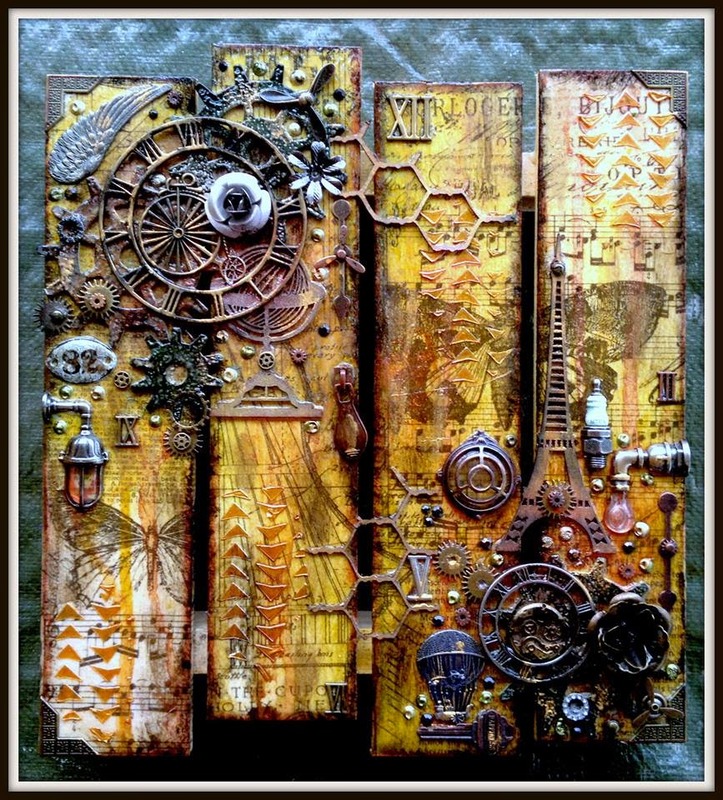 I just love the mixture of rustic, grunge, and industrial that Michelle combined to create this! I sure hope she has it hanging somewhere prominent in her home, it truly is a work of art! She used the Floral and Color Add ons from our Weathered and Worn kit on this beautiful canvas that she made for a friend of hers, who I am quite sure is going to LOVE it! The lovely pastel colors compliment the faded vintage photo and doily so nicely! We're so happy Michelle is home, and inspiring us all with her beautiful work again!